Regarding Year-End: QuickBooks has been hard at work for the past 11+ months, recording and tracking and storing all of that financial data that you’ve entered so faithfully. Figure 1: You can make yourself crazy looking for a nickel when you’re reconciling but it’s a critical function. Close your books. This is totally optional. It depends on whether you want to lock 2012 data to everyone except those who have the password and permissions. If you don’t close them, you’ll have easier access to last year’s transaction details. 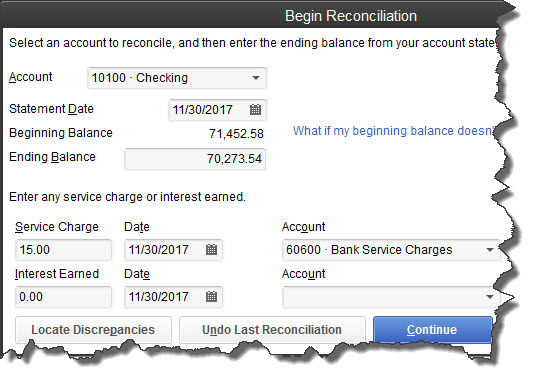 Regardless of what you chose, QuickBooks will automatically make some year-end adjustments. Figure 2: It’s good to match up your physical inventory count with QuickBooks occasionally, and the end of the year is a good time as any. Check W-2 and 1099 data. You can’t create these forms, of course, until after your final 2012 payroll, but you can get a head start. Ask employees to verify their names, addresses and Social Security numbers for accuracy. Also, make sure that your EIN and SEIN are correct, as well as company address. Clean up, back up. We can monitor the health of your QuickBooks data file anytime. But year-end is a good time to scrutinize your software’s performance. Has it slowed down, started crashing or returning error messages? We can troubleshoot to find the problem and clean it up. We’re sure you’ve been backing up your file faithfully, but archive all of 2012 and store it in a very safe offsite location — or use Intuit Data Protect for online storage. Again, these are suggestions. QuickBooks does not require you to do any of them. There’s more you can do, and you will need assistance with some of these. So let’s set up a early 2013 meeting to get you started right in the new year. We want to take this opportunity to thank you for letting us serve your company in 2012. We certainly appreciate your business, and we’re happy to do what we can to help your business prosper. P.S. It’s not too early to think about taxes so let us know if you want to get a jump on planning and preparation in January.